So. Inception. Freaking Inception. Well. I liked it. It was a well done film; the premise was original, the relationships weren’t tried and tired dynamics, the cinematography was excellent, and the exhibited attention to detail left those who had hoped to find the flaws in the fabric unsatisfied. So, yeah, good, cool. Perhaps I was being naive, overly hopeful, in even imagining that Inception might be the new, and long overdue, cult classic of a generation. I mean, it’s been years since we’ve seen even a decent sequel to a cult classic. But at the end of the day, neat as it was, that is what it was. Neat. Smart. An external labyrinth, but not a film that forces the already existing labyrinth that is a viewers mind to alter, shift, in other words, not a film that blew my mind. Now, I acknowledge that this was good stuff. 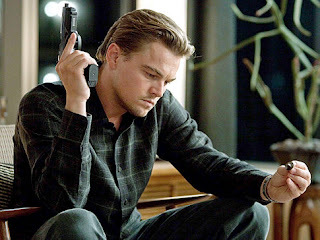 I mean, again, I liked Inception. But it was about half way through the film that I realized, I wasn’t waiting for the DVD release. I wasn’t planning on quoting the film, on watching it until I knew every scene shift like the back of my hand. Honestly, if I even see it again, it will probably just be in the hopes of catching a mistake (yes, I am one of these obnoxious movie goers). Of course, who cares really, it was a good movie and it was my own decision to hope that it might be deeply impacting. Nolan could have had no intention beyond making a Rubik’s Cube of a flick, and if this is the case, mission accomplished. The acting was solid, the mood was total and consistent, the idea was gripping. When I got up from my leather, speaker containing, IMAX seat, compliments of the Jordan boys, I wondered why I didn’t feel more. And that’s when the issue at hand dawned on me: because I hadn’t really felt anything for the duration of the movie. 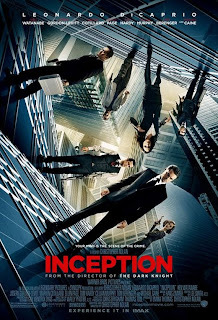 Perhaps it will be easier to understand if we think of Inception as a food, something packaged - like Tofu Pops - with a neat little label on the back. Inception delivered about 250% of a daily thought dose, but hovered around 20% so far as daily emotional experience was concerned, and hardly contained .5 grams of passion. This is most likely because the “world of the dream” that fuels Inception’s plot, is larger in scope that the world of the film itself. There are plenty of abstract movies that move people, leave a tattoo as opposed to an entrance stamp, because they touch upon the themes that we humans seem to get rocked by no matter how many times they’re thrown in our face; freedom, justice, love. These themes manifest in their most rebellious nature in movies like The Matrix, their most proud and valiant in war movies like Braveheart; their most intense in epics like Gladiator, and their most heart wrenching in love stories like The Notebook (don’t pretend that one’s not going down in history). Inception managed, impressively enough, to evade just about all of these themes. It lacked in pragmatism to an impressive extent. And as cool and out of the box as I may have previously considered myself, I realized that at the end of the day I’m a die-hard Disney fan who feels like I missed half the food pyramid for a day if fear, hierarchy, love, belief, and all the rest of that mumbo jumbo, isn’t touched upon at least a little bit. In conclusion: Inception was awesome, see it. But unless you’re more of a left brained cookie, you probably wont consider it the stuff of legend. Then again, if you are a dweller of the left-ern hemisphere, you probably wont walk into the theater with the expectation.